Creekside Paradise! 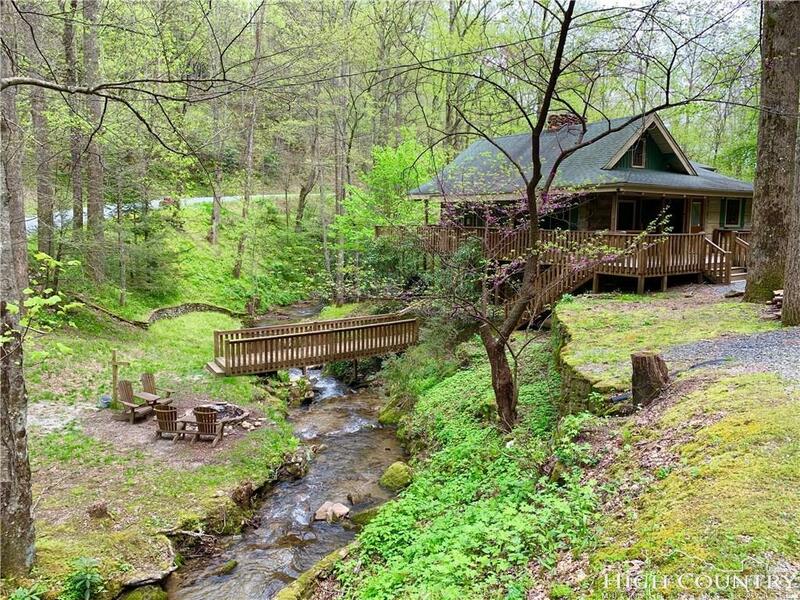 Renovated log cabin in beautiful 1.9 acre setting with large creek and gorgeous rock outcroppings running through property. Many updates including: maple cabinets, granite counters, stainless appliances, bathroom fixtures, hardwoods throughout and terrazzo in basement, mini-split heating/cooling units. 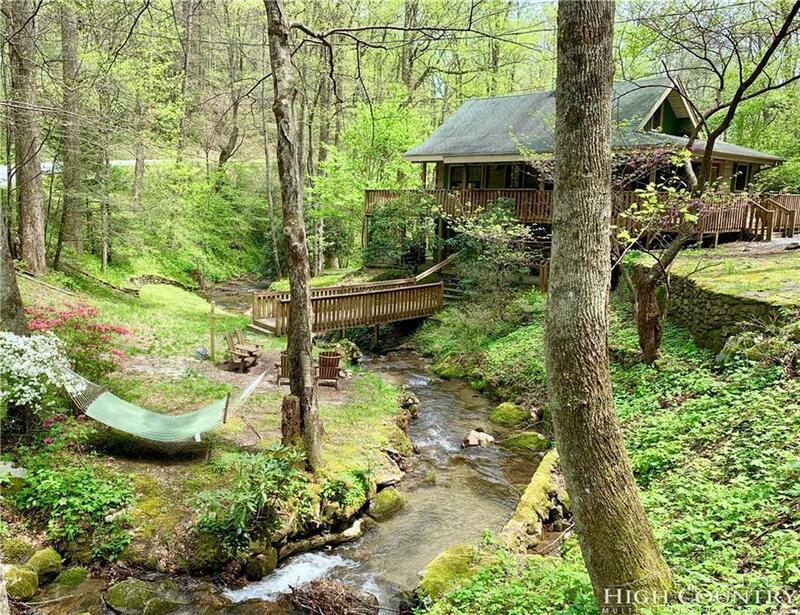 Unbeatable outdoor spaces with wrap-around covered and open decks, bridge to fire pit and hammock by creek, 5-person hot tub, and level playing backyard! 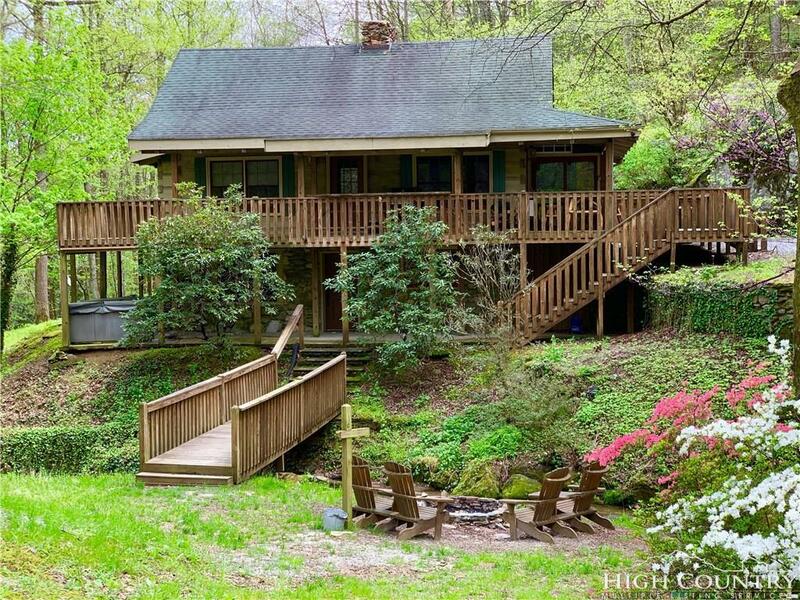 House sleeps six in current rental program (subject to NC Vacation Rental Act). Blackberry Creek Cabin offers the authentic rustic look with rough-hewn log and stone exterior, wood-burning 2-story stone fireplace, and exposed beams, but with all the modern amenities. 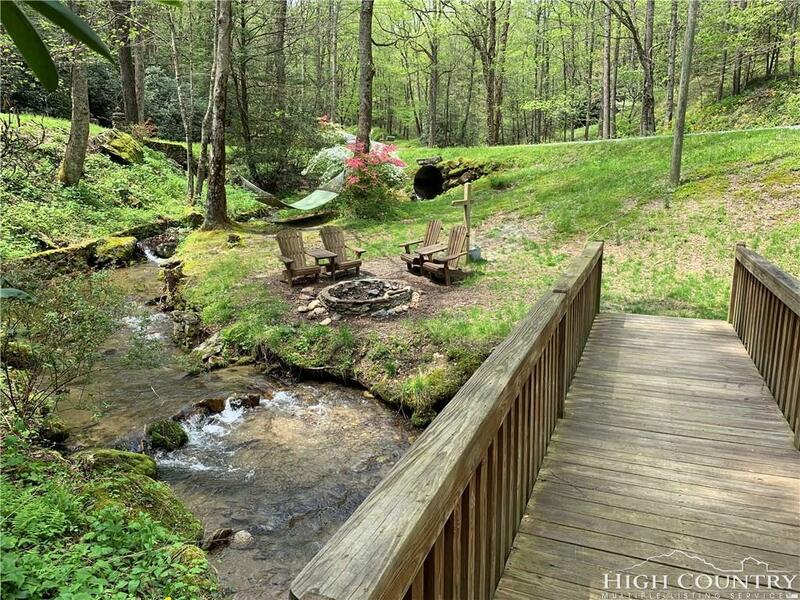 Perfect location just 5 miles from Main Street Blowing Rock. The natural landscape includes large boulders, laurels, evergreens, and bubbling stream, which you can enjoy from the huge decks and 12-foot covered sitting bar overlooking the creek. Furnishings negotiable. Excellent vacation rental investment!! Listing provided courtesy of Christopher Spangler of Blowing Rock Investment Properties.